Still untamed, the Big Bend region sprawls across more than a million acres of public land. Many of its wonders can be found at national parks, which preserve its natural beauty. 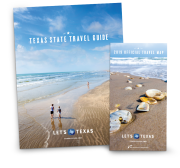 We hiked trails and scaled peaks to discover the pristine beauty of Texas. Named for the curve in the Rio Grande that marks its southern boundary, the Big Bend region delivers big-time in the awe department. Towering peaks, precipitous canyons, and bountiful wildlife are just some of the area’s wonders, preserved with care by the U.S. National Park Service. Feeling the need to get away from it all, we laced up our boots for a West Texas trek. A national park since 1944, Big Bend spans more than 800,000 acres and accounts for one-tenth of the 1,000-mile boundary line between the United States and Mexico. The scale of the place, with its never-ending sky and rolling terrain, can have a bowling-over effect. So can the range of activities. Hiking, camping, bird-watching, stargazing, horseback riding, rafting—it’s all available in staggering doses. Thankfully, five widely dispersed visitor centers, including a main hub at Panther Junction, anchored us between forays into the wild. Hiking is number one for the park’s 300,000 annual visitors. 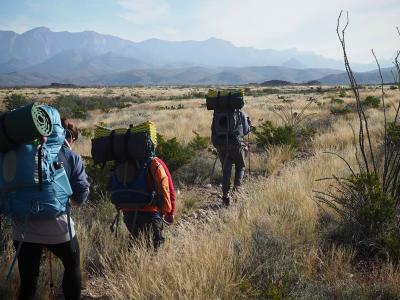 About 150 miles of trails wind through and around the Chihuahuan Desert, the Chisos Mountains, and the Rio Grande. Options range from an easy stroll on Tuff Canyon to a 12-mile trudge up the South Rim, where hikers gain 2,000 feet and an outstanding view. We chose the moderate two-mile Santa Elena Canyon Trail, which crosses Terlingua Creek, a tributary of the Rio Grande. In the shade of high canyon walls, we sat down on a perch overlooking the water, yellowthroats flying overhead. It was a pretty special moment. Farther north, the Castolon Historic District provided reminders of the area’s farming and ranching past. Big Bend’s history goes much further back, with artifacts dating to 9,000 years ago. 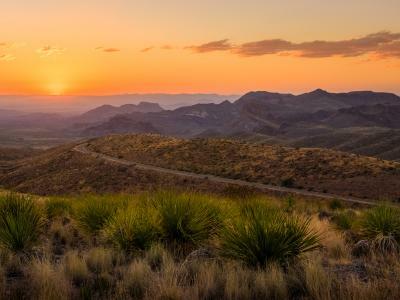 As a ranger pointed out, waves of settlers have called the place home, from the Chisos Indians to the Apache, the Comanche, and Spanish settlers. Today, visitors settle only a few nights at a time, at most. Some adventurous souls set up tents in primitive campsites along backcountry roads, while others rent a room at the Chisos Mountains Lodge. We were satisfied with our spot at one of the three campgrounds. The night brought a cover of pitch-black and an unvarnished view of the stars that left us rapt. Starkly gorgeous, the Guadalupe Mountains captured the imagination of travelers long before they became the site of a national park in 1972. One look at El Capitan, the signature peak, and we understood why. The 8,064-foot-high formation is austere, almost authoritative, a sentinel that guards the surrounding land. El Capitan might be one charismatic chunk of rock, but it isn’t the only one at the 86,000-acre park. Located 110 miles east of El Paso, the limestone range dominates the surrounding desert landscape. It’s essentially the fossilized remains of a reef that thrived in a long-gone tropical sea about 265 million years ago. That very cool fact stuck with us during our hikes, which sampled some of the park’s 80 available miles of trails in three diverse ecosystems. We couldn’t resist the challenge posed by Guadalupe Peak, the state’s highest point at 8,751 feet, an eight-hour trek that brought sweat, exhilaration, and our signatures in the register. That view was rivaled in beauty only by McKittrick Canyon, a forested area between towering canyon walls that feels like a setting from Middle Earth. In the fall, the foliage is said to turn vibrant hues of red, yellow, and brown. Clearly we’re going to have to make a return trip. There are dinosaur fossils in Big Bend. Past discoveries include the skull of a Chasmosaurus, which is triceratops-like but for its shorter horns, and the bones of a pterosaur, a flying reptile species whose wingspan could reach 36 feet.